Shannon is an Of Counsel attorney in the Affordable Housing and Community Development section of Coats Rose. She represents clients in the development and operation of affordable housing. Specifically, she assists public housing authorities, housing developers (both for- and non-profit), syndicators, and investors with leveraging various products, including HOPE VI funds, low-income housing tax credits, private activity tax-exempt bonds, investment syndications and conventional loans, to finance their projects. She has significant experience with the tax credit application process, having represented dozens of clients seeking credit allocations; and has experience working with the Tax Credit Assistance Program, Tax Credit Exchange Program, and the New Markets Tax Credit. 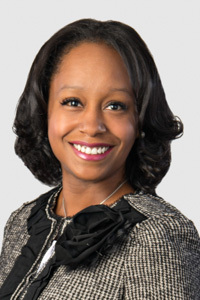 Shannon joined the firm in 2012 after working at Arnold & Porter LLP and Klein Hornig LLP, both in the District of Columbia. While attending Howard University School of Law, Shannon was a member of the Howard Law Journal, and a Merit Scholar (2004-2006).